So you think you don't count? Yesterday I posted about Olivia and Elliott and their quest to win a competition that would be life changing. As I write this, they are now in the number ONE position. This is because of the outpouring of support we have seen in the realms of social media. I must admit, I have voted for various things in the past and thought: "What's the point?". I have now seen with my own eyes just how much my vote does count (and yours, and yours and yours). In less than a week, Liv has gone from no votes and a link on her Facebook page, to number one position and over 7000 people following her VOTE 4 ELLIOTT page. We can't stop now. There is still 5 days of voting to go. We must keep her in that winning position. Never again, at least, not in the Cressida will take you straight there! This will change Liv and Elliott's lives. By making your vote count, you are saying that we all count. Supporting each other is one of the best things we can do in life. PS. Are you new to the blog? Welcome! If you check out the About Wolf-Hirschhorn Syndrome Page you will find some links to our Aussie Charity: 4P Aussie Kidz, as well as the Wolf-Hirschhorn Blog. 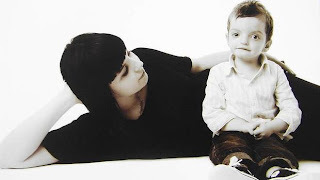 I also wrote this post: Wolf-Hirschhorn Syndrome-Some Facts last year in response to some awful stuff being written about the syndrome. I have to say, my faith in humanity has grown in this past week. I believe we all have the power to dream big and make things happen! Olivia and Elliott WILL win this-and it is all thanks to YOU. Well said Anna. Just shows what we can do when we all pull together. Absolutely Suzanne! It is so exciting! Have you heard of Elliott yet?